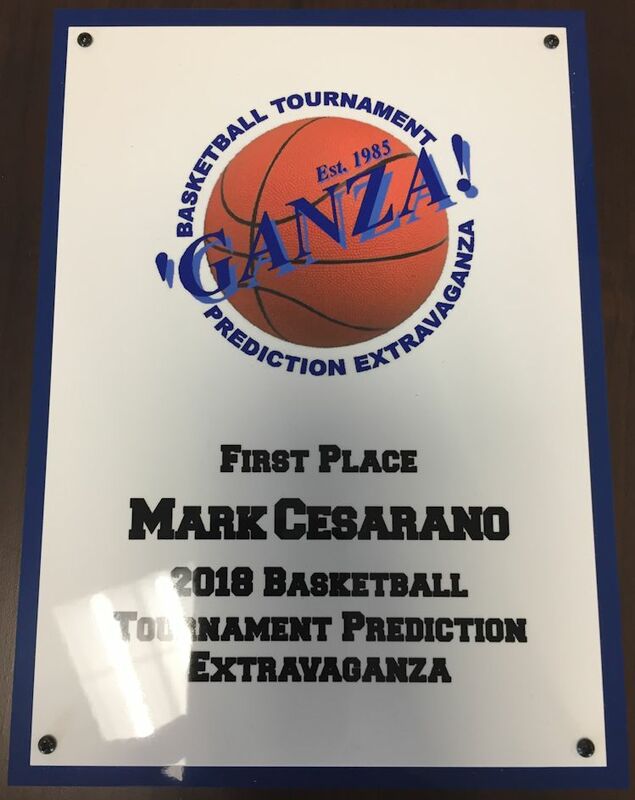 The Coveted Ostertag Plaque is awarded to the prognosticator who scores the most points in the Basketball Tournament Prediction Extravaganza. Over the years, the Ostertag Plaque has been mentioned in the same breath as the Lombardi Trophy and the Stanley Cup. Manufactured to the highest standards and exacting tolerances specified by the Benevolent Grand Pooh-Bah himself, the Ostertag Plaque has become one of the finest examples of pressboard available in the contest world. Copyright 1997 - 2018, BGP Enterprises. The Basketball Tournament Prediction Extravaganza is not sanctioned by, sponsored by, a division of, or even remotely related to the National Collegiate Athletic Association.